Chase Law Dean Jeffery Standen has been on leave since Nov. 17. He resigned in Dec. after a university investigation found that he created an "unhealthy" work environment. Chase Law Dean Jeffrey Standen resigned in December after a university investigation found he violated NKU’s Values and Ethical Responsibilities policy and created the perception of “an unhealthy culture of fear, intimidation and bullying” in his office. According to documents obtained by The Northerner, the investigation began in mid-November with complaints of sexual harassment by two former students and an employee of Standen. Standen has been on paid “personal” leave since Nov. 17 and will continue on leave until May 31. He will continue to be paid $260,100 for the 2017-18 year. NKU Director of Public Relations Anna Wright said the university acted “swiftly” to begin the investigation before the three women submitted testimonials on the case. Senior Title IX coordinators Ann James and Rachel Green investigated in November, and Ott Rowlands advised Standen of the findings on Dec. 7. “There is sufficient evidence to support a finding of an unhealthy culture of fear, intimidation, and bullying.” – Memorandum from NKU Provost Sue Ott Rowlands to Chase Dean Jeffrey Standen, December 8. Of the undisputed facts, Standen admitted to asking students to get the elevator and hold it for him and calling students into his office to sharpen pencils. He would ask students if they thought he was getting fat. In another statement, a different complainant reported a toxic work environment, saying that he was very controlling and narcissistic. They noted that when Standen was in the suite, people would be afraid to come in. “Since he’s been out, I’ve had so many visitors and faculty coming by to say hi or introduce themselves. When he is there, people only whisper because they know he likes it quiet,” the statement reads. “There is insufficient evidence to support a conclusion of sexual misconduct.” – Memorandum from NKU Provost Sue Ott Rowlands to Chase Dean Jeffrey Standen, December 8. 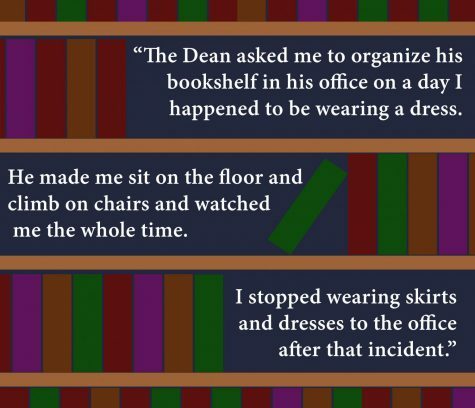 Though, in one of the initial interviews, a former student worker reported that they were asked to arrange the bookshelves again, despite not working in the office for six months. The first complainant reported a similar experience. He also asked her to put his coat on for him “as a tailor would measuring for a suit.” She had to run her hands over his shoulders, down his back, adjust the front of his suit jacket and tug on his sleeves, according to the statement. He also asked her to teach him how to salsa dance. 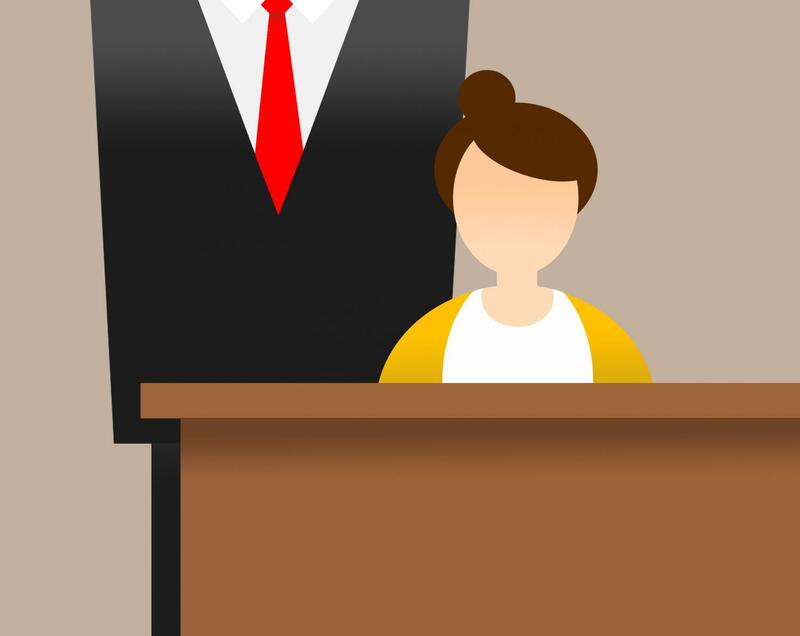 When she asked him if she could apply for another position on campus that “it would have been career suicide” if she hadn’t asked for his “blessing,” making her feel as if he would have kept her from getting another job on campus. The second witness’ statement reported that Standen would throw paper off his desk and yell at her to pick them up because he didn’t want to stand up. She stated that his occurred more often when she was wearing dresses. While overall, many people enjoyed working in the office, when Standen was in the office it felt like walking on eggshells, the second witness stated. “Dean Standen often asked about my personal life, specifically my romantic life. He tried to set me up with his son multiple times and once invited me to the movies with his family with the intent of meeting his son,” she said in the report. 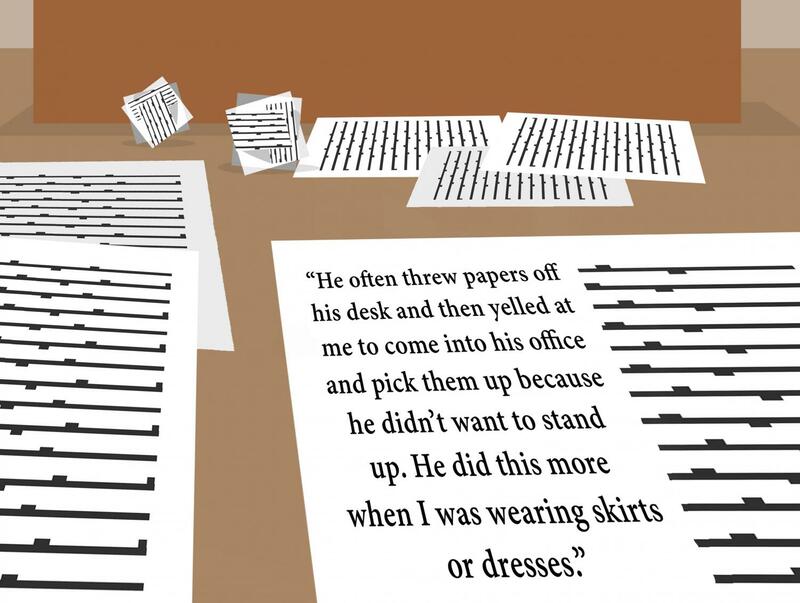 She also was told to rearrange his bookshelf, saying that he made her “sit on the floor, climb on chairs and watched [her] the entire time.” After the incident, she stopped wearing dresses or skirts to the office. On her last day at Chase, Standen called her into his office. In her statement, she said that he gifted her with a Chase Law t-shirt, but insisted that she try it on in front of him “to make sure it fit.” Though she convinced him that trying it on wasn’t needed, “it took a lot” to do so. “Then he gave me a lengthy hug and let me go back to my desk. I worked until 5 p.m. that day so I had to work the last three hours just a few feet from him before he made another big deal when I finally got to leave,” the statement reads. 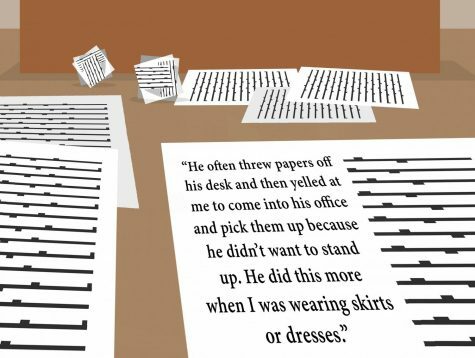 The last statement, from a former student worker, reiterates experiences felt by the other two witnesses: being asked to arrange bookshelves, fix air vents and pick paper off the ground–more so when wearing a skirt, dress or leggings. “Over the course of a year, I have witnessed the Dean, Jeffery Standen, display foul behavior and treatment to those under him, especially women,” the third statement reads. He also disputed that he said “We all know why she’s in her position…she looks good in photos,” referring to an African-American female. In response to the second witness saying that he called her “honey,” he denied calling the student pet names. Standen denied allegations of harassment in a letter to The Cincinnati Enquirer which first broke this story. Standen made the letter available to The Northerner on Saturday. 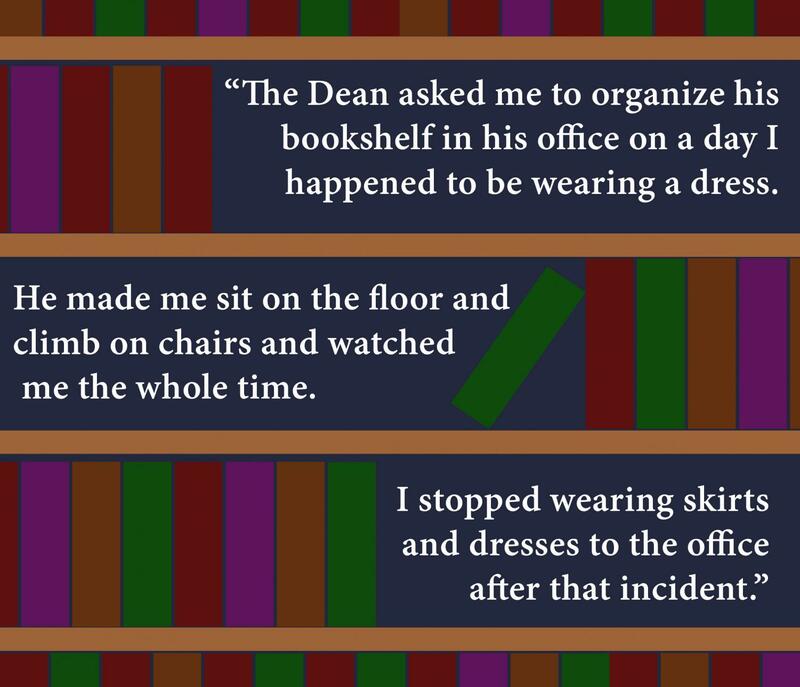 “I did not, even once, look down a co-worker’s dress, did not adjust my crotch in anyone’s presence, and did not stare at any person who was shelving books or otherwise working in my office,” Standen said in the letter. He explained that the dance lesson “at arm’s length” was a simple rehearsal for a Chase gala at which Standen was expected to waltz. According to the NKU faculty handbook, a faculty member with tenure like Standen could return to the university as a full-time professor. Provost Sue Ott Rowlands told Standen he has the opportunity to return in an email on Dec. 13. “Should you decide to return to the Chase faculty, you will do so beginning in fall 2018 and your salary will be 85 percent of your current salary. You will teach a full load starting that term and expectations for teaching, research and service will be the same as those for other Chase faculty. As well, the spring 2018 semester will have served as your reentry leave,” Ott Rowlands told Standen in the email. Should he return, Standen would make $221,085 per year. This is an ongoing news story. If you feel uncomfortable, have been assaulted or harassed please reach out to the Norse Violence Prevention Center. The NVP Center hours are 8:15 a.m.-4:30 p.m. To speak to someone by phone during these hours, call (859)-572-5865. To speak to someone in person, come by the office during their office hours locked in SU 304.